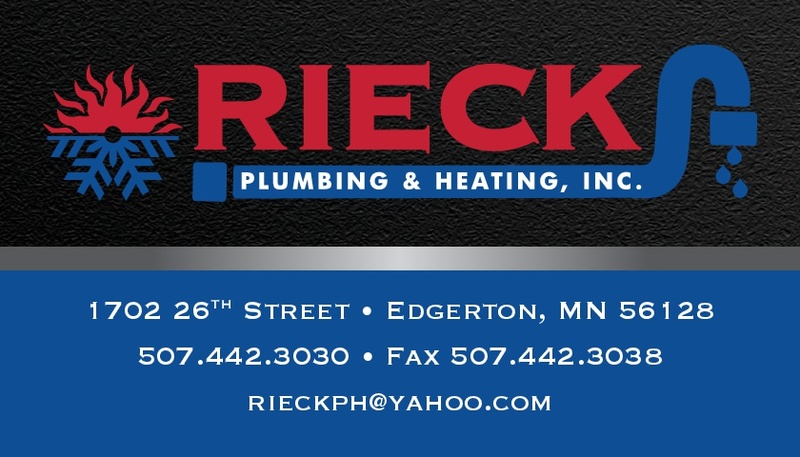 Edgerton, MN Water Heater Repairs | Water Heater Repairs Edgerton, MN | Rieck Plumbing & Heating, Inc. If you're like most home or business owners in Edgerton, MN, you rely on your water heater on a regular basis. So if your water heater starts to break down or stops working efficiently, it's time to call in the professionals to get it fixed in a hurry. And that's precisely where we come in. We offer timely, accurate water heater repair services designed to take a load off your mind. When your water heater needs repairs, choosing the right plumbing contractor can make all the difference. At Rieck Plumbing & Heating, Inc., we're well-versed in water heater repairs. When you call on us, we'll take the time to diagnose the problem with your heater and implement a reliable fix. And if we determine that your water heater is beyond repair or that it simply doesn't pay to fix it, we'll walk you through your options for finding a replacement. Remember, water heaters don't come cheap, so when yours needs to be serviced, it's best to call in a seasoned professional. To schedule an estimate or appointment for dependable water heater repair work, call Rieck Plumbing & Heating, Inc. today.